Ocean Computer Repair was established in October 2006. Since then Kevin Doherty, owner and technician, has been helping small businesses and home users with computer related issues. Kevin has over 15 years experience with computer repair, networking, website design, and many other custom projects including webcams and aerial photos for promotions. For the home user we offer one on one service. Our main focus is your computer issues. Paying attention to the details and your most critical data (photos, videos, documents, etc.) and programs, OCR can provide you with the assurance that your information is safe, and backed up. 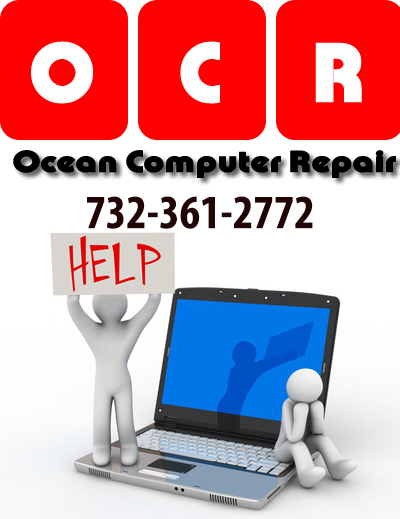 Ocean Computer Repair also offers video, web, and IP solutions for all the latest Internet connected devices. The Internet of Things is upon us and now all, phones, cameras, thermostats, watches, baby monitors, light switches, light bulbs, and the list goes on. They all connect to the Internet now, and we can help you sort it all out. Have a business? We can help. Get your business up to speed with the latest productivity apps and devices. Connect with your team and be more productive over-night. Call now for a free consultation on how Ocean Tech Worx can help improve your bottom line. For appointments, please call 732-361-2772. Always Available by Phone!